The Ultimate in Cinch Design! is spinning, cutting a cow, rounding a barrel and more! Airflow channels are the secret of this patented cinch's amazing performance. 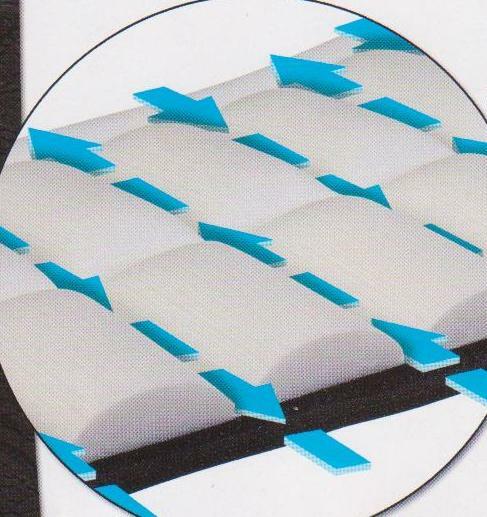 Here's a cross section view of the airflow channels that give its breathability. Created using a special manufacturing process, these airflow channels prevent heat from being trapped, maximize air circulation and offer great flexibility. 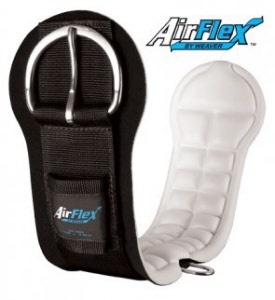 This State-of-The-Art airflow technology gives the Airflex Cinch a high level of comfort and performance that will be appreciated by all riders from professional to recreational. Straight 28", 30", 32", 34" or 36"
Roper 28", 30", 32", 34" or 36"